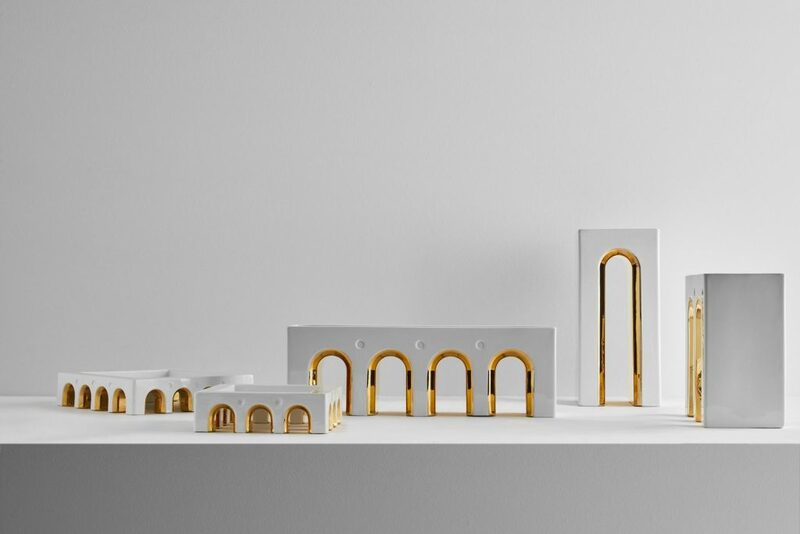 The first collection of objects created by LATOxLATO, the new design lab founded by two young architects, Francesco Breganze de Capnist and Virginia Valentini, is a homage to the history of Italian art and architecture from which it draws its form and inspiration. The juxtaposition translates into an unusual kind of design, full of tangible emotion and possibilities for interaction. Austere candleholders recalling Rationalist masterworks, a centrepiece and flower vases drawing on the perspective and metaphysics of the Renaissance piazza. All rigorously made in Italy, the pieces tell the story of their passion for Italy, its traditional materials and noble artisanal techniques. 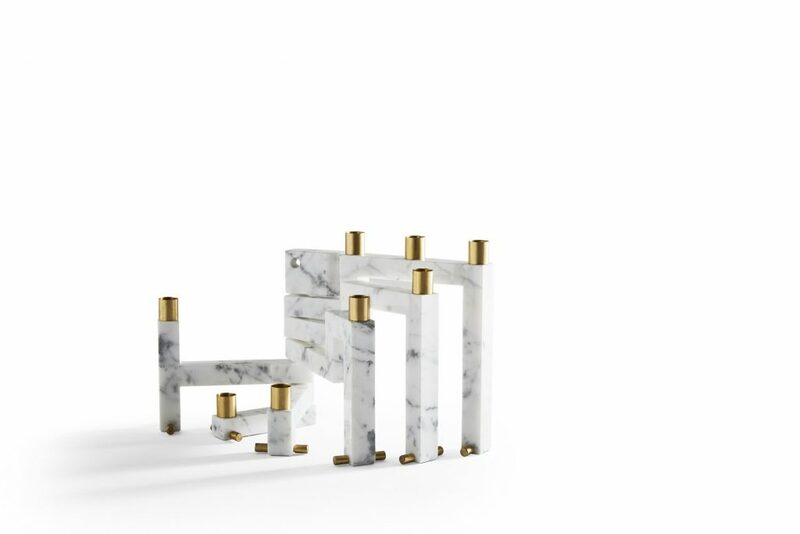 Marble, ceramic and metal are reinterpreted through a contemporary eye. 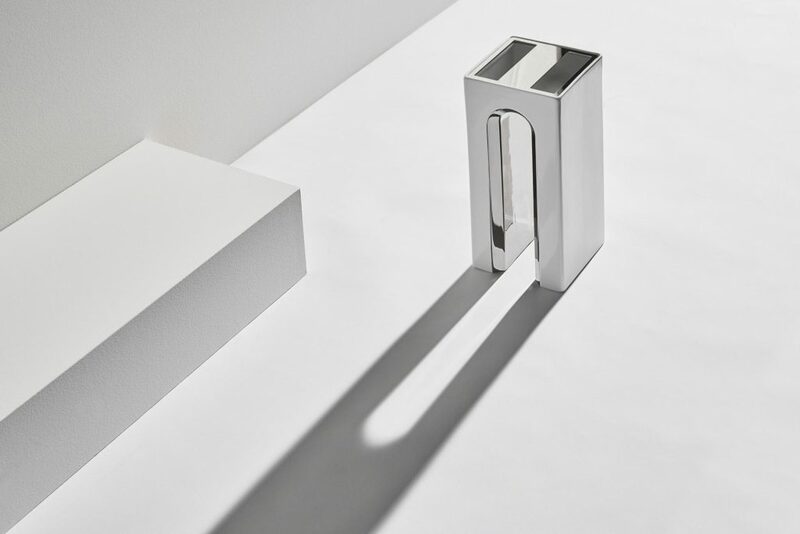 Each individual piece, unique and inimitable, becomes a magnetic presence, thanks to the strong aesthetic value of its lines, finishes and structural details and to its open, freely-interpretable functionality: it becomes a piece of sculpture. Through materials, LATOxLATO explores the Italian landscape and discovers its finest craftspeople according to an idea of contemporary luxury. 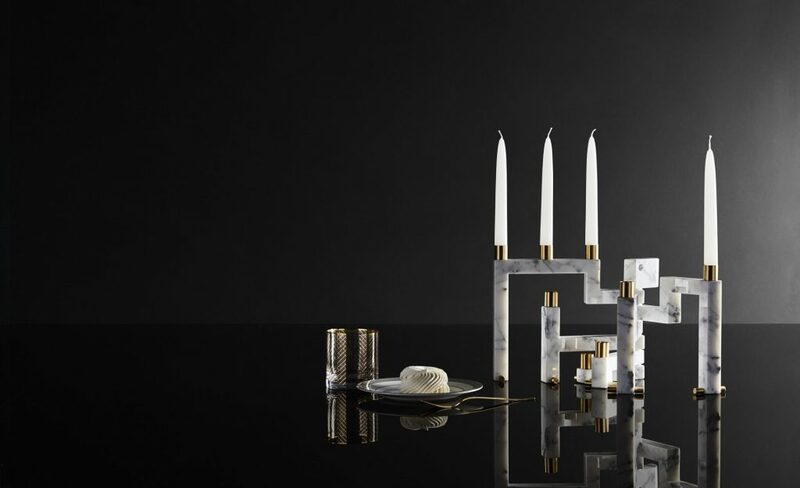 Natural and precious materials, 100% Made in Italy craftsmanship and unusual forms inspired by the rich heritage of Italian art and architecture. A subtle allusion to Italy’s Palladian villas and palaces, and to the perspectives of Metaphysical art. The detailing in precious 24k gold or platinum creates reflections of light and motion in perspective. 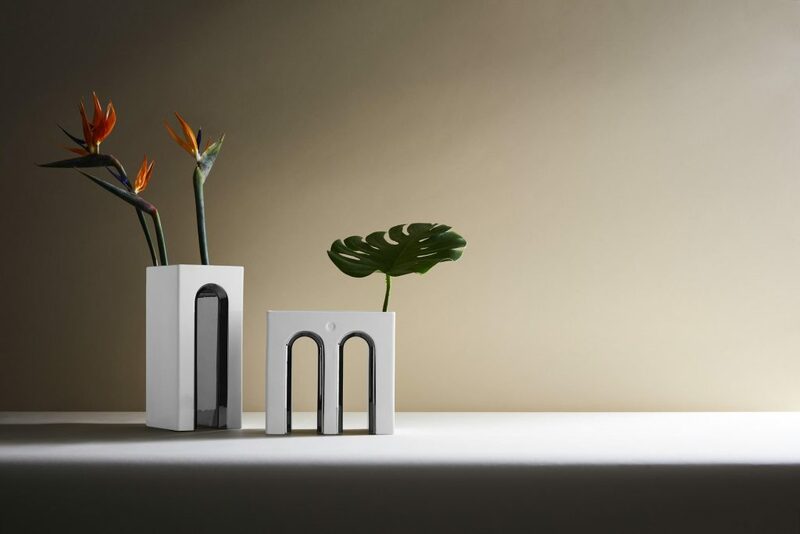 Austere and perfectly proportioned arches multiply within the vase: one arch corresponds to two containers, two arches to four, and so on, allowing for the composition of ever-changing and dramatic floral arrangements. LATOxLATO’s first collection was born out of a love for Italy and Italian culture. This is reflected also in the names chosen for the vases and the centrepiece: references to the great actors of Italian cinema. The LATOxLATO design workshop was founded in 2018. Wanderers by calling and Italians by birth, Francesco Breganze de Capnist and Virginia Valentini are partners in work and in life, sharing a deep creative and inquisitive bond. In 2016, they opened their studio Spazio Primario in New York and worked on numerous projects, including retail space in Brooklyn, a bar/restaurant on Coney Island and various private residences on the Upper East Side. This experience abroad, which they continue alternately with their work in Italy, inspires them to invent out-of-the-box designs. Their passion for their roots, for Made in Italy artisanship and the rich heritage of Italian art and architecture blends together with an international and multicultural attitude.